Admit it, how many of you are scratching your heads in bemusement? Walter Gropius? Whose he? What's he got to do with graphic design? Well (and I'm being honest here) he's strictly speaking an architect and therefore shouldn't be included on the list of top ten graphic designers. However his contribution to the world of Graphic Design is so great that it would be a travesty if he were not featured. His position at number six reflects not just own skills but also the power and influence of his movement. For those of you who haven't guessed (or don't know) Walter Gropius founded the German Design School - The Bauhaus in 1919. The legacy this institution left behind is all around us today in the form of Modernisim. Students still learn about it in University and are taught to mimic it's styles and techniques. Without Walter Gropius The Bauhaus wouldn't have existed and Graphic Design would be a paler shade of honeysuckle (this year's pantone colour). But who was Gropius? Well, Walter Gropius was born in Berlin on the 18th May 1883. Like his father and great-uncle before him he became an architect. This was despite the fact that he could not draw... he was therefore reliant on collaborators throughout his working life. When Gropius left school he went to work for Peter Behrens (who later joined him at The Bauhaus). It was while he was working for Behrens that he met Adolf Meyer and in 1910 Gropius and Meyer decided to leave Behrens’ company and set up their own practice. 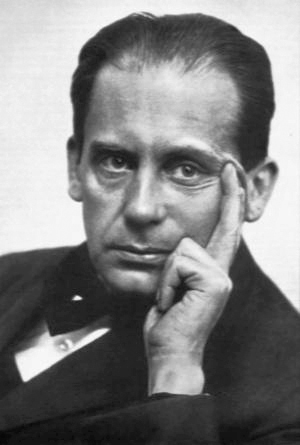 Gropius's career was interrupted in 1914 thanks to the outbreak of World War One. He was called up almost at once and served as a sergeant major on the Western Front. Once the war was over Gropius was able to continue to progress his career. In 1915, however, his life changed forever. Henry vande Velde (master of the Grand-Ducal Saxon School of Arts and Crafts – Weimar) stepped down because of his Belgian nationality. It was on Velde’s recommendation that Gropius was offered the opportunity to succeed him. Gropius took up the appointment as master of the school in 1919 and began rapidly changing it into the Bauhaus. Many famous students (and tutors) passed through the doors of the Bauhaus; Paul Klee, Johannes Itten, Josef Albers, Herbert Bayer, Laszlo Moholy-Nagy, Otto Bartning and Wassily Kandinsky. The Bauhaus ran until 1933 when Hitler rose to power and objected to how Gropius ran the institute. Gropius sensed that the time was near when he would need to leave Germany. 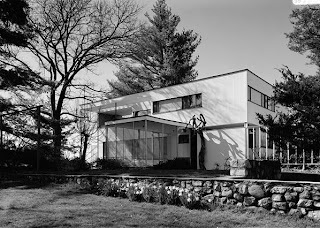 This happened in 1934, when, with the help of the English architect Maxwell Fry, Gropius was able to leave Nazi Germany. He stayed on in Britain until 1937 when he left for America where he formed the Architect’s Collaborative. Walter Gropius was a truly influential figure and even though he wasn't strictly a graphic designer the movement he led was one of the most powerful design movements this world has wittnessed.